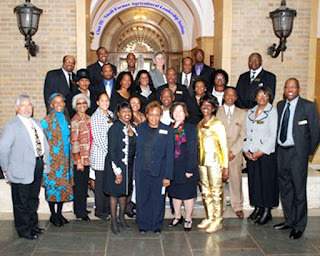 BATON ROUGE, LA, 3/25/2011 – The Southern University Agricultural Research and Extension held its 3rd Leadership Class Graduation Ceremony in DC, March 24. The Class of 2011 Small Farmer Agricultural Leadership Institute numbered 28 small farmers from across the nation. This illustrious group received certificates of completion during a graduation ceremony in Washington, DC. The ceremony, which concluded a two-year intensive program of study, was held at USDA headquarters. Leodrey Williams, SU Ag Center Chancellor, Gina E. Eubanks, Vice Chancellor for Extension and Dawn Mellion-Patin, Institute Director, graced the occasion along with USDA officials. BATON ROUGE, LA, 3/24/2011 – The Bayou State Trail Riders will start their journey to Baton Rouge for the 41st SU Ag Center’s Horse Show. Students at Winnsboro Elementary and Franklin Parish Head Start will get an afternoon visit from the Bayou State Trail Riders on Monday, April 4. This is the seventh year that the convoy of horses, buggies and covered wagons has passed through Winnsboro on its way to Southern University in Baton Rouge. Riders from other states join the group at different stops along the way to participate in the seven-day trip. Participants will leave for the 100-mile journey from the Monroe Civic Center at 8 a.m. on April 3 to arrive in Baton Rouge for the annual SU Ag Center horseshow on Friday, April 8. The 41st Annual State and Regional Horse Show will take place at the M.A. Edmond Livestock Arena located on Hwy 61. The kickoff events are the western round-up, Best Dressed Cowboy/Cowgirl Contest, Mechanical Bull Contest and Zydeco Band (J. Paul Jr. and Zydeco Nubreeds) on Friday evening. Events for Saturday include Kids Rodeo on stick Horses at 9:00 a.m. in the Arena; the Trail ride, beginning at F. G. Clark Activity Center on the campus of Southern University at 2:00 p.m., and ending at the M.A. Edmond Arena. The Gaited Horse Show will begin at 5:00 p.m. with Leon Chavis and the Zydeco Flames performing at 7:00 p.m. The event culminates with the Cowboy Church at 9:00 a.m., on Sunday, April 10. The trail ride is a collaborative effort with several organizations throughout the southern region and began initially on Saturday, March 25th in Eldorado, Arkansas. The participants continue the trail ride daily until they reach their destination at the Ag Center’s M.A. Edmond Livestock Arena. For further information, please contact Christie Monroe at 225-771-2242. BATON ROUGE, LA, 3/23/2011 – The Southern University Agricultural Research and Extension Center will host its 39th annual state and national Rabbit Show, Saturday, April 2 at the M.A. Edmond Livestock Show Arena. Youth from across the state will converge in Baton Rouge for this annual event that teaches leadership skills, character development, and entrepreneurship skills. The SU Ag Center’s Annual Rabbit Show is the largest in the state, with competitions in 16 sanctioned rabbit breeds, and draws youth from almost every parish in the State. "We're expecting more than 200 youth exhibitors to participate in this year's Show," said Livestock Show Director, Christie Monroe. Participating youth represent Future Farmers of America (FFA) chapters, 4-H Clubs, and other school-aged youth. The SU Ag Center’s Rabbit Show is sanctioned by the American Rabbit Breeders Association, and is co-sponsored by the Louisiana Rabbit Breeders Association. All events are free and open to the public. 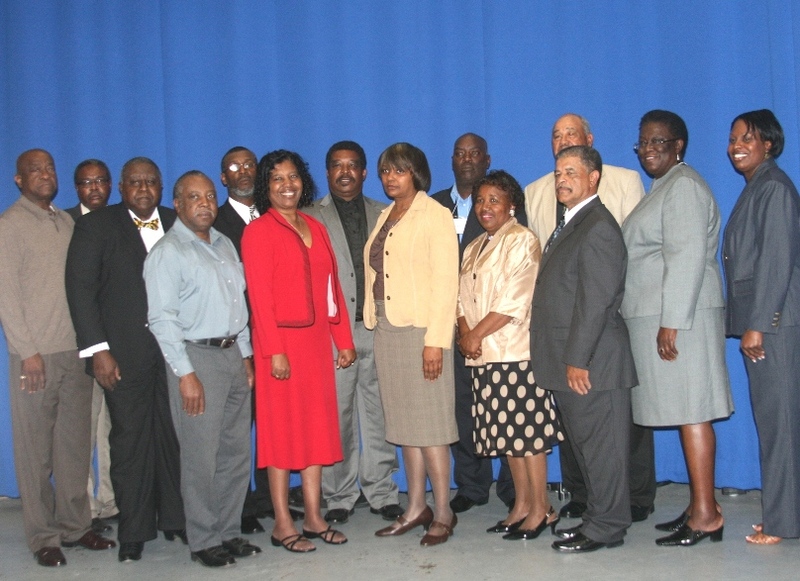 BATON ROUGE, LA, 3/19/11 –The SU Ag Center’s Louisiana Small Farmer Conference Culminates in Graduation Ceremony. The Southern University Agricultural Research and Extension Center hosted the Louisiana Small Farmer Conference, March 17 –– 19 in Baton Rouge. The theme for this event was, “Sustaining Louisiana’s Small Family Farms.” This conference was enlightening, informative and designed to educate and expand the awareness of educational opportunities, USDA programs and services and other resources which help small farmers stay in business. The overall goal of the conference was to provide an opportunity for Louisiana’s small agricultural producers to come together and share strategies as well as be informed about the latest educational tools and resources which could impact the survival of their agricultural businesses. The conference targeted small and beginning farmers, agricultural business owners, community-based, and nonprofit organizations. During the opening session, SU Ag Center Chancellor Leodrey Williams, extended a warm welcome to participants and in conclusion said, “If we don’t do anything to help others, we have not done much at all.” The commissioner of Agriculture & Forestry Mike Strain, DVM was on hand to welcome conference attendees from across Louisiana. He stated that, with the push for alternative energy, great benefits await farmers and emphasized the importance of “preserving, protecting and keeping our farmlands.” Also to address the audience was Cathea Simelton, Interim National Program Leader, Small and Beginning Farmer and Rancher Program, USDA, Office of Advocacy and Outreach, Washington, DC. Simelton assured the participants that her office “understands the obstacles small farmers face,” and ready and willing to help them succeed. The conference started with a tour of the Perkins’ organic farm in Port Hudson, the Jones’ goat farm in Zachary and the Muhaimins’ poultry farm in Zachary. The second day of the conference involved intense sessions with topics including challenges to sustaining Louisiana small farms, young agricultural program, establishing a farm plan for new and existing farmers, marketing and legal issues. The Southern University Agricultural Research and Extension Center concluded its 68th Annual Livestock Show with more than 400 participants from across the state this past weekend. During the two-day event, young farmers and ranchers from across the state had the opportunity to display animals that have been showcased or have won in-parish competitions. After the show, judges named state champions in various breeds of beef and dairy cattle, hogs, sheep, lamb, and goats. The all-time favorite mini-farm, featuring a variety of small farm animals, was held for school-age kids from the local schools. In addition, tours were provided to discuss different animals, their food sources, farming, and how agriculture affects everyone's life. Winners of the show received premiums, rosettes, ribbons, and banners. An awards presentation for exhibitors of champion market animals was held followed by the Junior Auction Sale. This year show was dedicated to long-time Livestock Show employee, Brenda DeRouren who will be retiring from the University later this month after working 30 years. Blue Cross and Blue Shield of Louisiana observed African-American Heritage Month by calling for one people, one vision for a healthy Louisiana. To promote health, wellness and celebrate Louisiana's rich diversity, the state's largest domestic and non-profit insurer partnerered with the Mall of Louisiana to host a month-long celebration of living African-Americans who support healthy lifestyles. 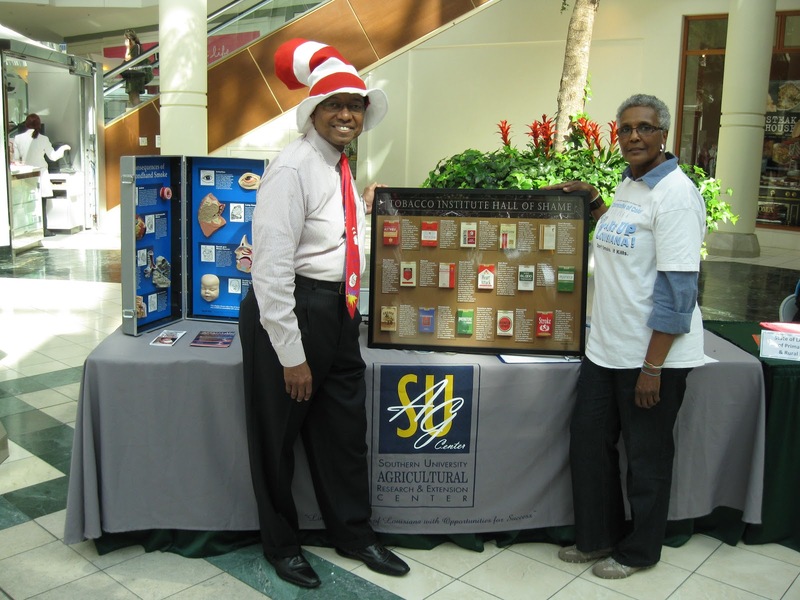 Parish Mayor/President Melvin "Kip" Holden about the SU Ag Center's Communities of Color Network. Living Legends: Building a Legacy of Health in Mind, Soul and Body was a series of events held at the Mall's Center Court. Every Wednesday during the month of February, from 11 a.m. to noon, the Heritage Reading Series feature prominent African-Americans from the Baton Rouge region delivering readings of works by Black thought leaders. Living Legends culminated the activity on February 26th with a Health Expo where Frankie Poland, regional coordinator expertly displayed a booth impacting the negative impact of secondhand smoke and the harmful impact of tobacco products. The Expo coincided with the American Heart and American Stroke Associations Power to End Stroke Mall Walk. Participants were able to get free health information and other wellness services provided by Blue Cross and other health professionals from throughout the region. Poland met with East Baton Rouge Parish Mayor/President Melvin "Kip" Holden to discuss Southern University's role in eradicating, reducing tobacco products in the African-American communities.